I am so excited to be sharing my scrappy secrets today for Jennifer's Scrappy Stash Quilt-Along! I just can't wait for this Quilt-Along to start so I can use up some scraps. As you will soon see, my scraps are bursting out of my bins. 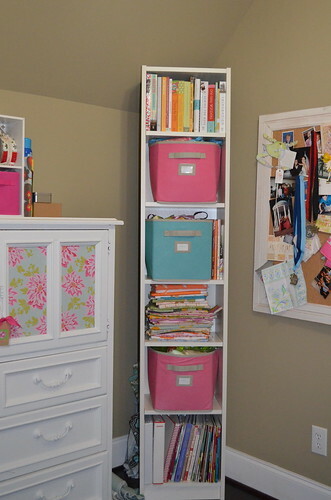 My scraps are housed in this Ikea bookcase in those pink bins. The second bin is a little more complicated. 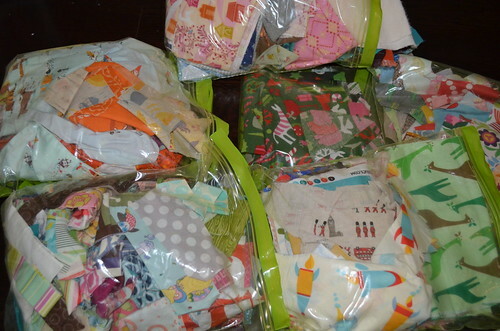 I have a bag for Heather Ross scraps, a bag for scraps with heat'n bond already ironed on the back, a bag with various holiday fabrics, a bag with kiddie novelty prints, a bag of scrappy strips and a bag of fabrics other than quilting cotton (linen/voile/flannel, etc). Those are all the pieced that I deem big enough to save (no firm rule here, might save an inch size if it's a print I like and throw out something bigger of a not so favorite print), but not quite as big as a fat quarter. 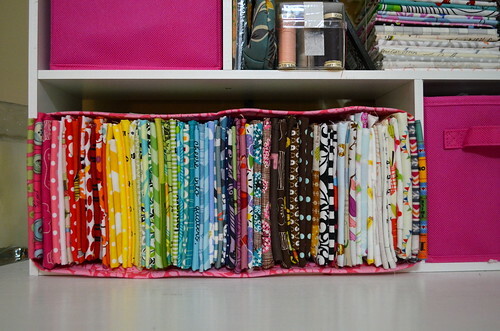 Those fat quarters and nearly fat quarters are up on my bookcase in this bin I made (my tutorial is here). Here it is turned on its side. In rainbow order, of course, it just makes me happy to look at it! 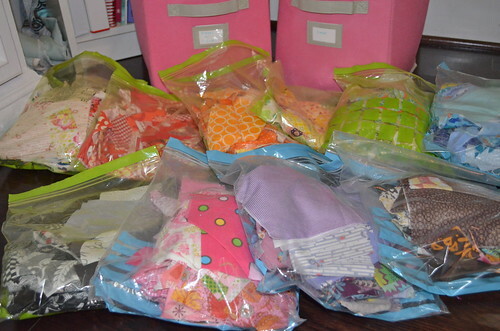 Once these fat quarters get more than about halfway used up, they get moved to the big bins. Now you have seen how I organize my scraps. Some days I get frustrated and think I should just use my stash and throw these out! But, that feeling doesn't last long because something comes up and I find the perfect bit to use for a project. This Quilt-Along makes me glad I have lots of scraps (and that they are already sorted by color) now I just need some more time to sew! Ready to sew? Good! The QAL kicks off on October 9 with giveaways, special sales, discounts and all the details to get you started. The many prizes offered to those of you that join our quilt-along are graciously donated by the following sponsors. Scrappy Stash QAL starts October 9. Scrappy Stash QAL ends November 13. Link up finished quilt November 13-15. The following fabulously talented ladies have so kindly offered to share their scrap secrets with you as well as helping spread the word about the Scrappy Stash Quilt-Along. Be sure to stop by each day and check out their scrap storage! 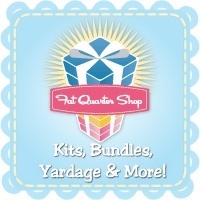 10:9: QAL kick-off day at Ellison Lane Quilts! OK, who's ready? Grab a button for your blog then pop on over to see Jennifer tomorrow for the kick-off! Loved peeking into your stash! 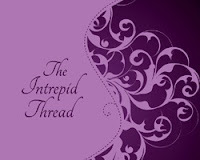 Thanks for sharing Courtney and for being part of the blog hop. Looking forward to seeing your scrappy quilt! You are so organised! Your stash is pretty droolworthy! Wow, you are organized! 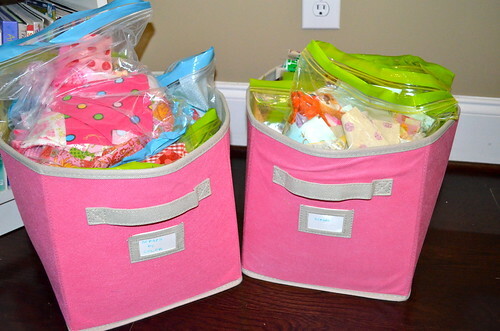 Love the bin you made for your FQ's. great sewing space! I'm a zip lock girl too! I usually group the scraps by colour , but lately it's been by groups of projects, like girls dresses, bags, purses...always fun to stitch them together to make bigger patched fabric pieces! My husband is in the military and I used to dump my scraps each time we moved because it seemed silly to save them. But with fabric closing in on $11 a yard those little bits of colorful cotton joy are staying with me!! There's quilts in those scraps, and a lot of money invested in them! This time I'll be taking every little bit along for the journey! 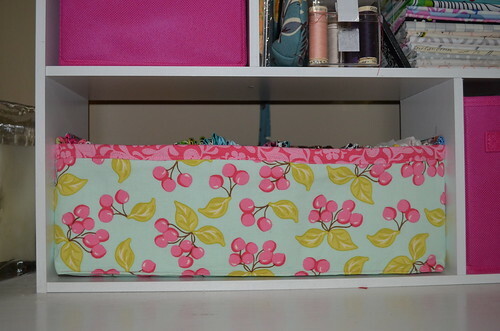 your sewing space and storage is so pretty! and you are so organized!